Sunday, August 21st, 2016 at 12:32pm. Even as prices rise in many communities, homes are selling faster now than they have in the past several years. This creates a situation where buyers need to move fast in order to secure homes, and they may have to pay more for them. While increasing prices generally coax more selling activity, there has been some hesitancy among potential sellers who worry that they will not be able to buy a desirable and reasonably priced home once they sell. Tuesday, February 23rd, 2016 at 1:36pm. Check out this article from NYC's BrickUnderground discussing when to book your vacation rental if you want to score a deal! Monday, February 22nd, 2016 at 8:41pm. Just a scant few years ago, this Victorian near Woodstock was just a dilapidated old house with boarded up windows and an overgrown front yard. And here it is, thanks to the internet magic of Google Streetview! Thursday, August 27th, 2015 at 3:56pm. I'm often asked what the difference between these 3 types of homes are and below is a short summary. The values between these types of home vary widely as does their functionality. Mobile homes - The term Mobile Home is often used interchangeably with the term Manufactured Home but in fact they mean quite different things. "Mobile Home" refers to homes built PRIOR to 1976 when the HUD code governing building standards for factory-built homes was instituted, greatly improving quality standards. Manufactured homes - Homes built AFTER 1976 should, technically, no longer be referred to as Mobile Homes but instead are Manufactured Homes and are built to a higher standard of quality than yesterday's "Mobile Homes". Saturday, November 29th, 2014 at 8:17am. I can appreciate Ms. Botton's sentiments, but life is dynamic. Kingston offers former Manhattanites/Brooklyites, like myself, that perfect mix of the NYC we loved but slowed down. I enjoy running through the Rondout and saying hello to my neighbors, dining on local cuisine and being a stone's throw from everything. Kingston will experience a renaissance, and I hope to have a hand in it. However, it will not be the kind of massive gentrification that NYC has experienced, and continues to experience. 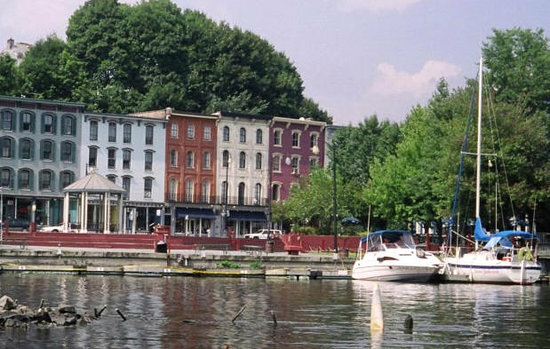 Kingston is the perfect "borough" that's just a little north of its larger siblings. Saturday, November 15th, 2014 at 6:01pm. Watch Cree Quaker of The Machree Group on HGTV House Hunters this Thursday, November 20, 2014 at 5:30p ET/PC.